I’ve always been partial to some Orstrayan rhyming slang, and there is no more quintessetially Orstrayan phrase than “doing the Harold Holt” ie leaving ie doing the bolt. It is named for Australia’s 17th Prime Minister, Harold Holt, who is remembered less for his political achievements, but far more for his death. On 17 December 1967, Harold went for a swim at Cheviot “Beach” and never came back. Whilst plenty of Presidents/Prime Ministers/Heads of State have died whilst in office, I can’t think of a circumstance where the body was never found. The fact that his body was never found gave rise to some ridiculous theories – my favourite being that he was kidnapped by a Chinese submarine. He’s probably at the same café as Elvis. We stayed in Sorrento during our Mornington Peninsula visit and I couldn’t pass up the opportunity to visit the spot from where Harold did his last Harold Holt. 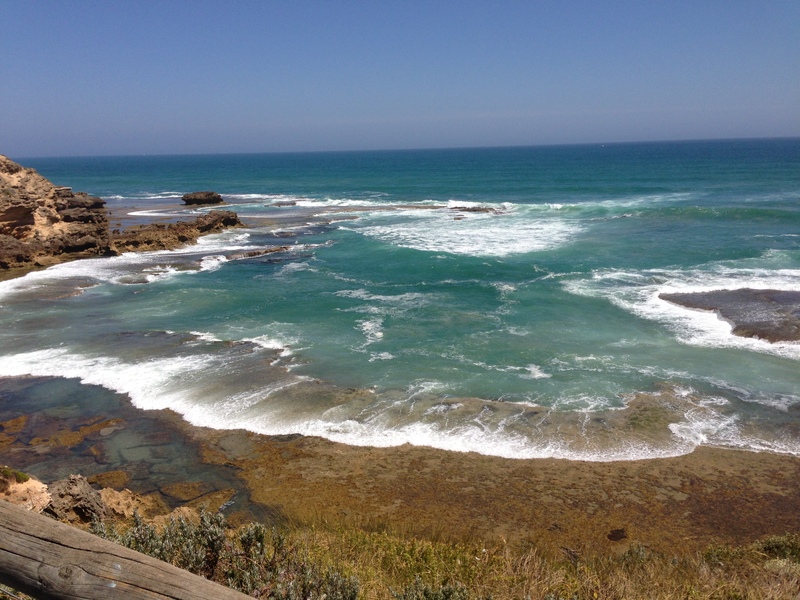 Cheviot Beach is about 1.2km from the very end of the Mornington Peninsula – Point Nepean – on the Western side. In Harold’s day, you could probably drive to it, but it is now within a National Park and you have to park and walk about 1k and a bit to get there. Now the term beach is loosely used in this instance. Cheviot Cove or Cheviot Bay maybe, but Beach – I don’t think so. It is quite difficult to access and you need to be pretty determined to get down to it. My daughter and I did the necessary bush bashing and got down to sea level. The same thought struck us – What was Harold thinking? Admittedly the day we were there was very rough – big booming surf with powerful 8 foot closeouts, but it just doesn’t look like the place for a swim, unless it was a millpond. On the day Harold went for his fateful dip, it was apparently rough – so it is quite a mystery. I floated in a rockpool that was protected from the surf by a substantial reef – and that was as close as I was going to get. So whilst I got to see Cheviot Beach, I wasn’t able to get to the Mornington Peninsula’s eponymous brewery – at least whilst it was open anyway. 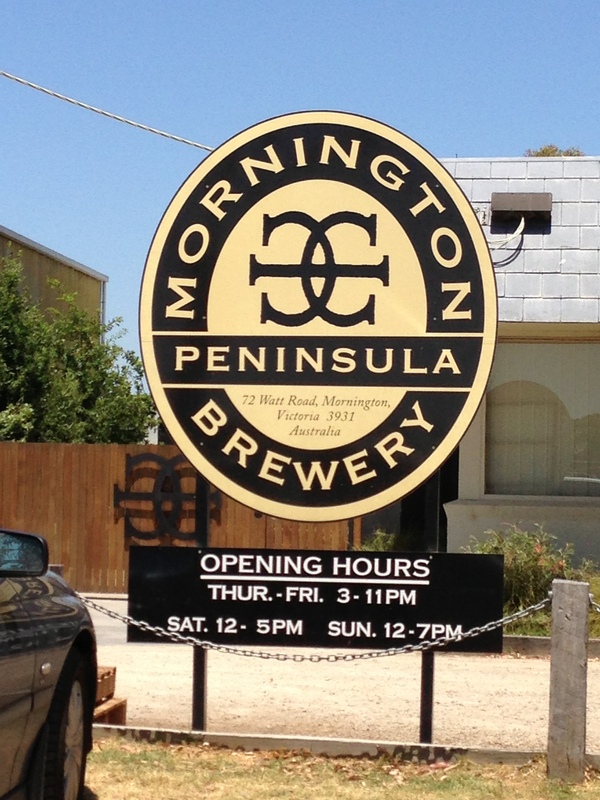 Mornington Peninsula Brewery has been open since 2010, and is out the back of the industrial area of Mornington. I’ve been fortunate to try plenty of their beers at Mrs Parma’s in the last year or so and was pretty keen to try some at the source. Aah well, there’s at least one reason to come back to the Mornington Peninsula. Hopefully their phenomenal IPA will be on tap when I visit next. Fortunately, there is a very cool bar in Sorrento that serves the beers of the Mornington Peninsula. Three Palms is in the main drag of Sorrento and offers a drinking experience that is not dissimilar to my backyard. There’s a Cantina like bar that opens up onto a lawn and it just a really pleasant place to have a few. They’ve got Hix Beer, Red Hill Brewery offerings and some stubbies from Mornington Peninsula Brewery. 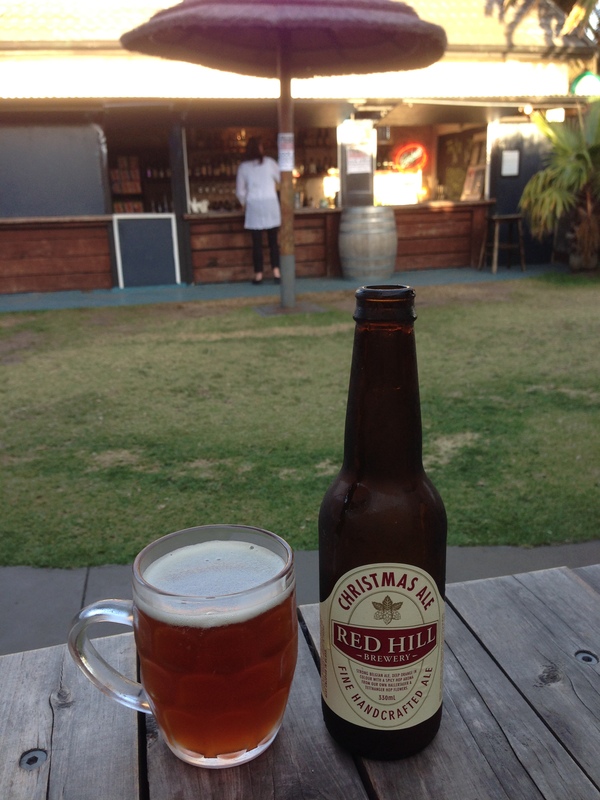 I thought I’d missed out on Red Hill’s Christmas Ale – but Three Palms had a couple left. At 8.3%, it is probably not the best pre-prandial libation, but it had to be done. Bloody top drop with warming spice and fruit. Belgian with a yuletide twist. 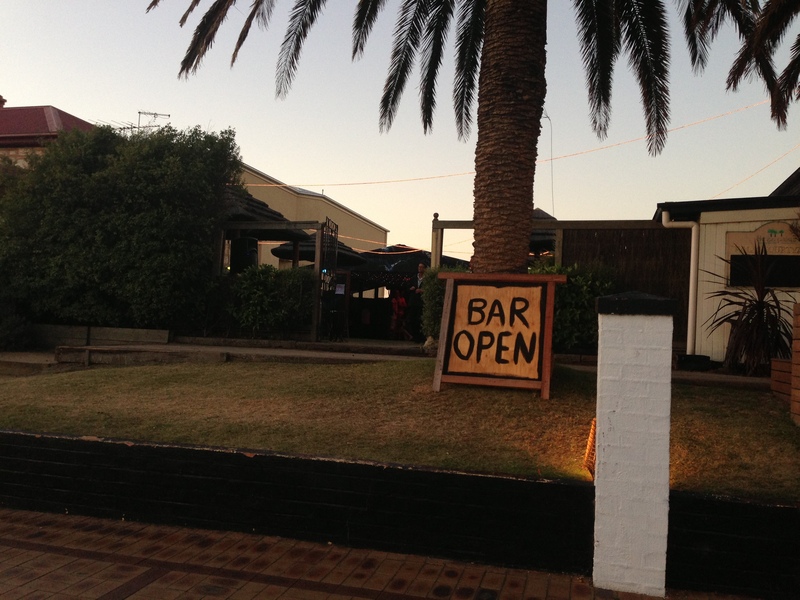 It’s also a good feed at the Three Palms – so it’s worth getting there. In fact it worth simply getting to the Mornington Peninsula. Like the Otways, I’ve left plenty on the table and I look forward to a return visit. 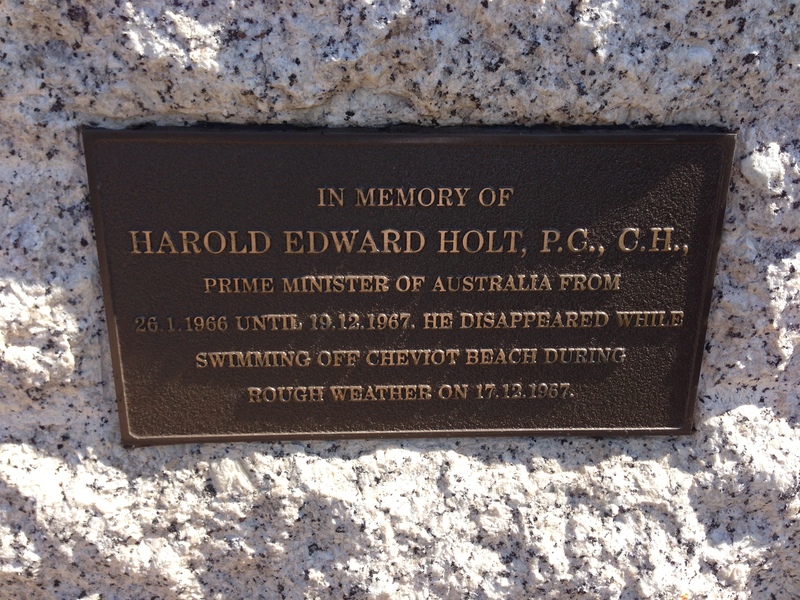 no visit to the Harold Holt memorial swimming pool? Ha. I read about that whilst on holiday. Classic.